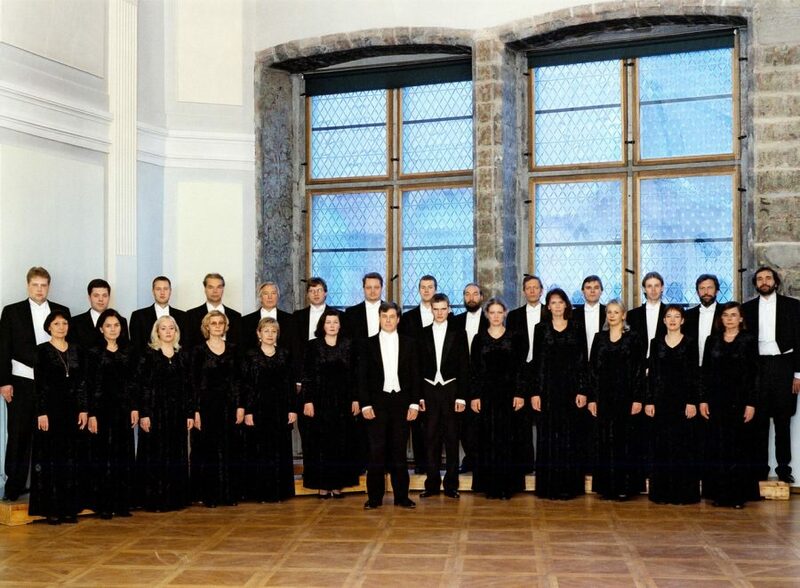 In 1991, the Estonian Philharmonic Chamber Choir won three gold medals, and the Grand Prix at the Takarazuka Chamber Choir Competition in Japan. 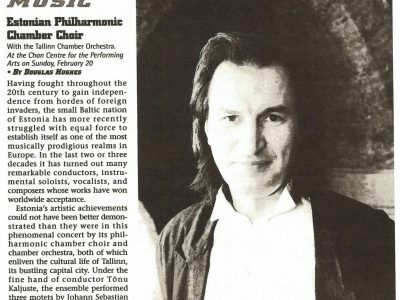 Their breathtaking performances at the 1993 World Choral Festival in Vancouver held audiences spellbound. In addition to tours across Europe, the choir has achieved spectacular reviews for performances in the US. Their recordings have been international bestsellers. The imminent return of this remarkable ensemble is eagerly awaited. Program: Back, Pärt, Kreek, and Tüür. 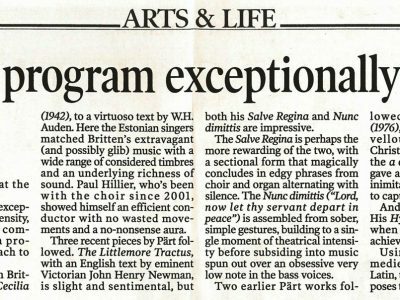 "Pure and impassioned, astounding choral artists..."